Freeform's upcoming witchy alternate history series, Motherland: Fort Salem, has been officially ordered to series after being in development since 2016. 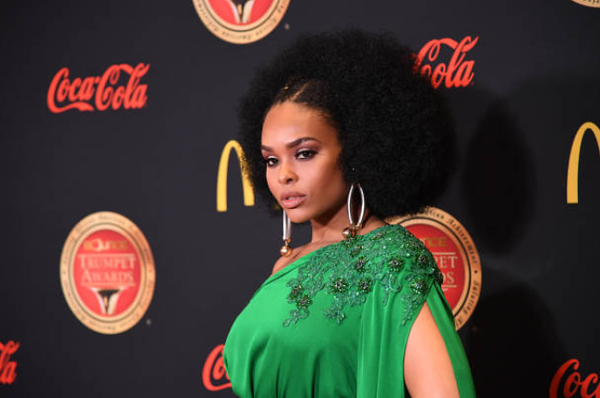 One of the series stars is Demetria McKinney, who has starred Tyler Perry's House of Payne on TBS, Bounce's Saints & Sinners, BET's The Quad, and most recently the Mario Van Peebles Syfy series, Superstition. The one-hour drama comes to Freeform from executive producers Will Ferrell, Adam McKay and Kevin Messick and is created by Claws' Eliot Laurence. According to the network, the series will focus on an alt-reality U.S. in which witches ended their persecution 300 years ago thanks to a deal made with the U.S. government to become a protective fighting force. "Motherland: Fort Salem follows three young women from basic training in combat magic into terrifying and thrilling early deployment. In this world, the traditional roles of gender and power are flipped with women on the front lines, the fight looming and terrorist threats that are strikingly familiar to our world, but with supernatural tactics and weapons," states the network. McKinney plays Anacostia, "a tough by wryly humorous drill sergeant whose chief concern is keeping the young recruits alive through basic training." She will be joined by Taylor Hickson (Deadly Class), who plays Raelle, a reluctant recruit who has trouble with authority and grief because of her mother's death in the line of duty. Jessica Sutton (The Kissing Booth) plays Tally, a kind witch who enlisted in spite of her mother's disapproval. Amalia Holm (Playground) plays Scylla, a dark, playful recruit who carries secrets. More cast members will be announced soon. "We're so excited to be able to tell this story rich with female empowerment, complex storytelling and an incredibly creative canon," said Freeform President Tom Ascheim in a statement. "While set in an alternative universe, 'Motherland: Fort Salem' will continue the authentic and issues-driven storylines that our network is known for, and what our audience has come to expect. We are thrilled to be working with Eliot, Will, Adam and Kevin on this exceptionally creative tale and look forward to bringing this even further to life." Laurence said in a statement that he "couldn't ask for more loyal and nurturing partners than Gary Sanchez and Freeform," adding, "I could not be more thrilled and grateful to share this long-simmering labor of love with the world." "Will, Adam and I couldn't be more excited about the opportunity to take Eliot's vision to series," stated Messick. "Motherland: Fort Salem" is bold and original storytelling and Freeform has been incredibly supportive in helping us realize Eliot's alternate version of America. We can't wait to get started on the season." "So excited Freeform has given a platform to one of the most original writers working today; Eliot Laurence," said McKay in his statement. "Sanchez has worked with Eliot for years and he has astounded us yet again with the imaginative and layered world of Motherland: Fort Salem." Laurence, Maria Maggenti and Steven Adelson will executive produce along with Will Ferrell, McKay and Messick for Garay Sanchez Productions. Gary Sanchez Productions and Freeform Studios will produce the series, and Steven A. Adelson directs the pilot.